Overlooking the Mediterranean from the heights of a hill, south of Argelès-sur-Mer, the setting of our 5-star campsite, Le Bois de Valmarie, is in every respect, remarkable. It is ideally situated at the gateway to Racou, which is a nature site owned by the Conservatoire National du Littoral (the French National Coastal Conservation society). The name “Racou” means “hidden recess” in Catalan. 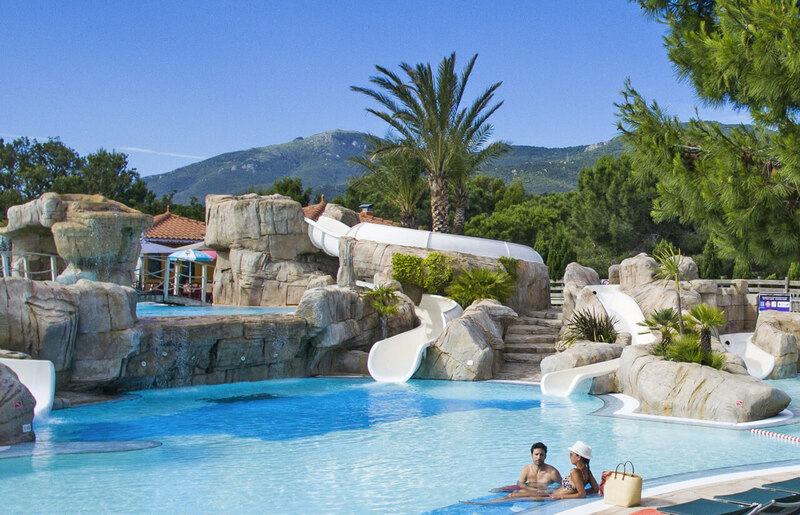 Le Bois de Valmarie campsite enjoys an extremely idyllic setting and an environment, which accommodates you in the most natural surroundings. Although the cliffs of the Côte Vermeille are not far from here, the setting is close to one of the most beautiful beaches in the region. By the campsite, log cabins make up far more than a simple hamlet. This is an entirely separate village, which has proven able to maintain an atmosphere, which is both family-oriented and friendly. Moreover, the layout of this complex of small “houses” has allowed for the development of narrow alleys, which lack neither charm or freshness. 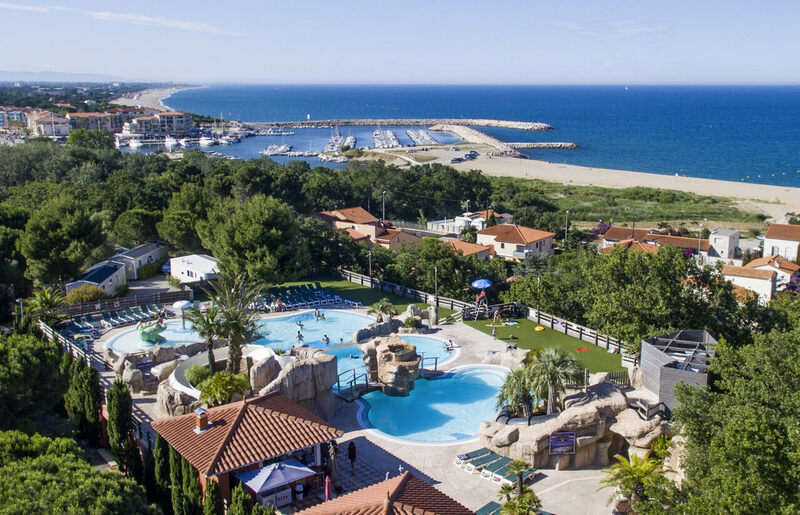 Although the geographical situation of the campsite allows you to reach the seaside and the fine sandy beach of Racou on foot, it also makes it possible to go to the port of Argelès, which is only a few minutes walk away. Around the port, there are vast numbers of shops and restaurants. A little further on, the seaside resort's main beach is easily accessible by bicycle (via numerous cycle tracks!). 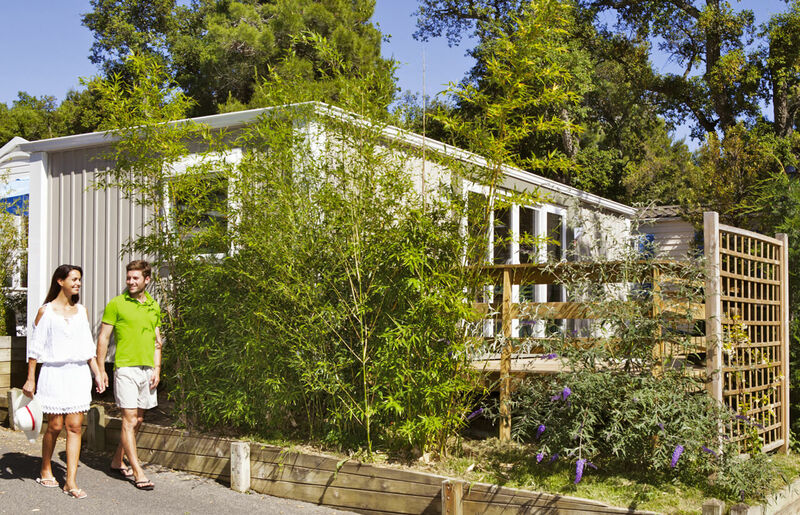 Covered with cork oaks, the Le Bois de Valmarie campsite has everything necessary to seduce you. It is a place where both peace and the pleasures of life prevail. This is a location which is not only enjoyed for its tranquillity but also for the quality and variety of its individual benefits and facilities. Offering a magnificient view of the Mediterranean, the heated aquatic park stretches over more than 400 m². 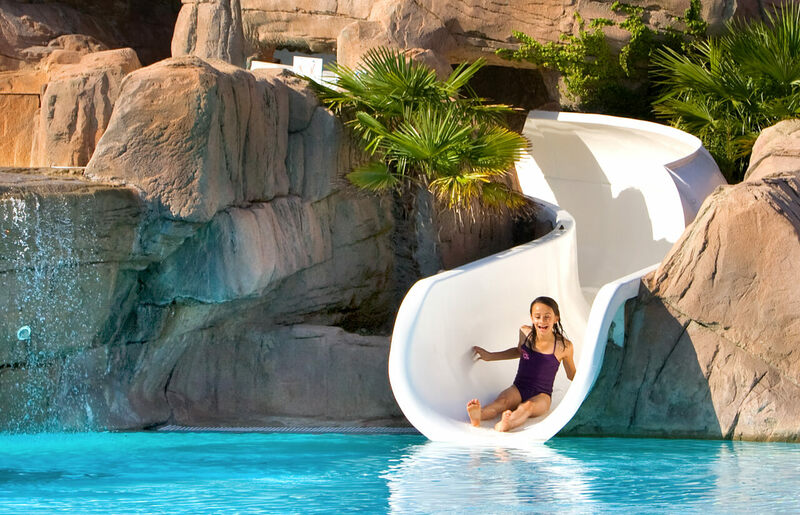 With its vast lagoon, its aquatic area, its water slides and its lawn-covered “beaches”, it is appreciated as much by adults as children. From 2016, there is now a gym equipped with numerous fitness and bodybuilding equipment items, as well as a lovely wellness area, equipped with a Jacuzzi, a sauna and a massage room, all on-site. Moreover, the play areas have been upgraded and a new children's club has opened. 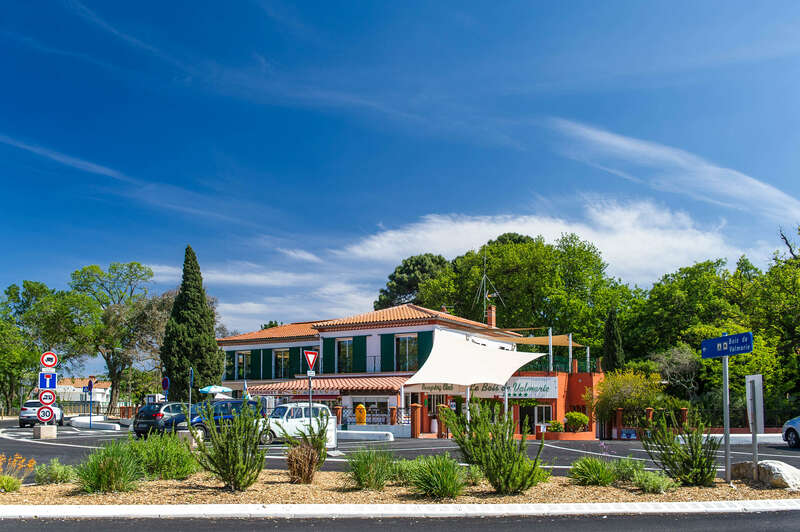 These new facilities complete the range of services services already provided by our Argelès campsite, such as the bar-restaurant, the supermarket, the snack bar, the Wi-Fi coverage and other facilities. Finally, this spacious and comfortable rental accommodation is spread out across all four corners of the campsite. 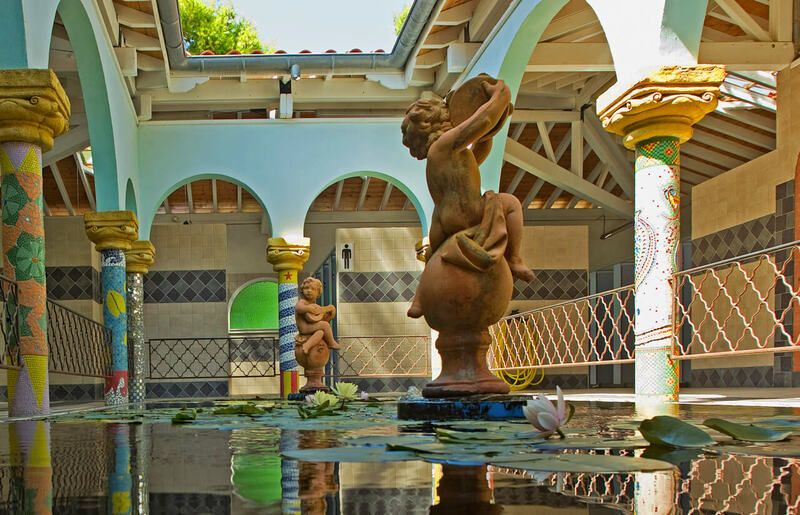 Suitably-equipped, it contributes to fulfilling our aim; to make Le Bois de Valmarie the preferred holiday destination for families with children, couples and lovers of idle life by the sea! The staff in our campsite clubs are sensitive and attentive to accommodate the needs of disabled individuals. All services and facilities (shops, health facilities and activity areas) are accessible to individuals with reduced mobility.